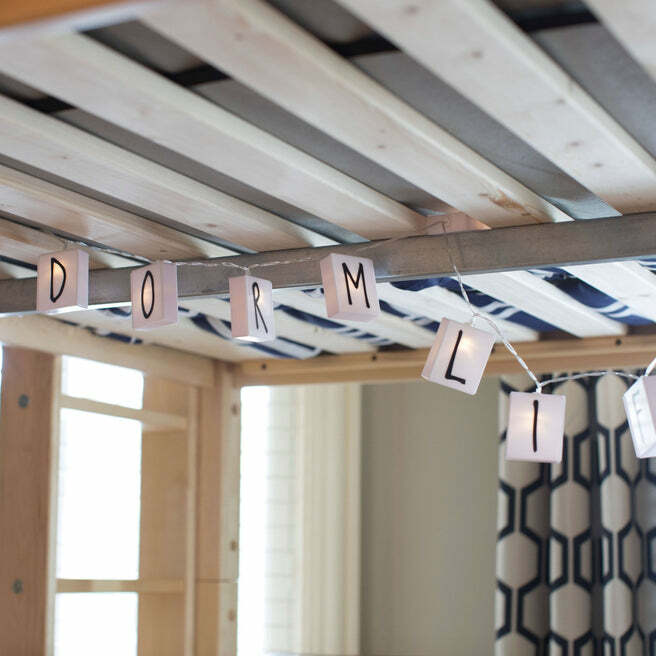 Our high loft with straight ladder becomes the ultimate sleep + study combo! Matching desk attaches directly underneath, freeing up valuable floorspace. Over 4 ft of underbed clearance means even taller teenagers can sit up comfortably. Queen size = extra room for long limbs to stretch out. Raised bed = usable space underneath. We added a desk to our high loft to create a super functional study nook. Give your child their own spot to complete homework free from distractions! 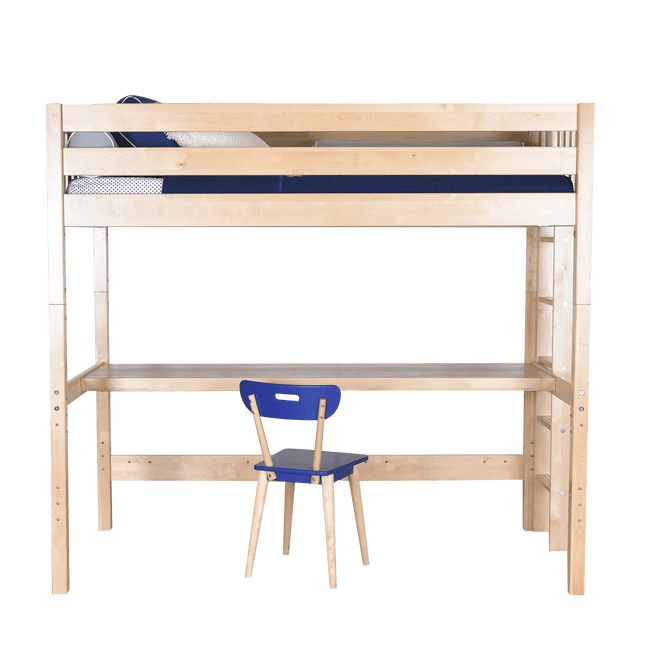 Choose from long desk that runs the length of the bed, version with optional storage drawers, or our versatile corner design. 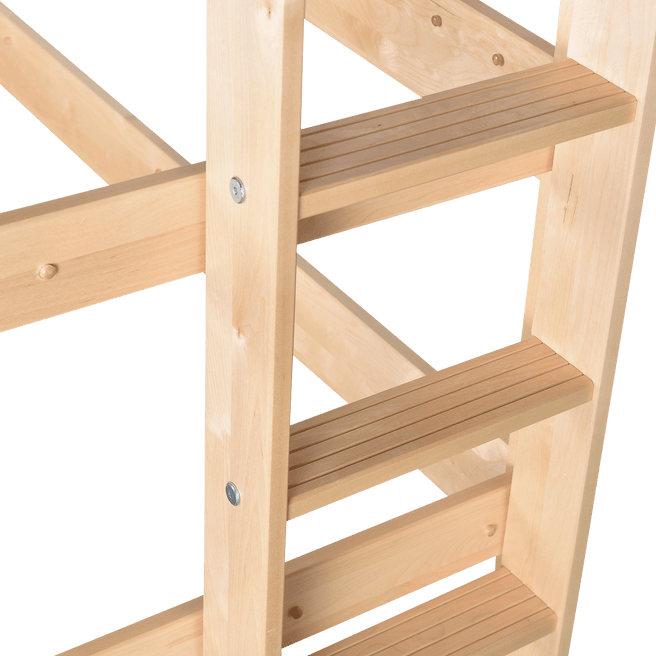 Each style connects directly to the bed legs for a sturdy, clean finish. Desks remove easily when no longer needed, leaving you with a classic high loft. 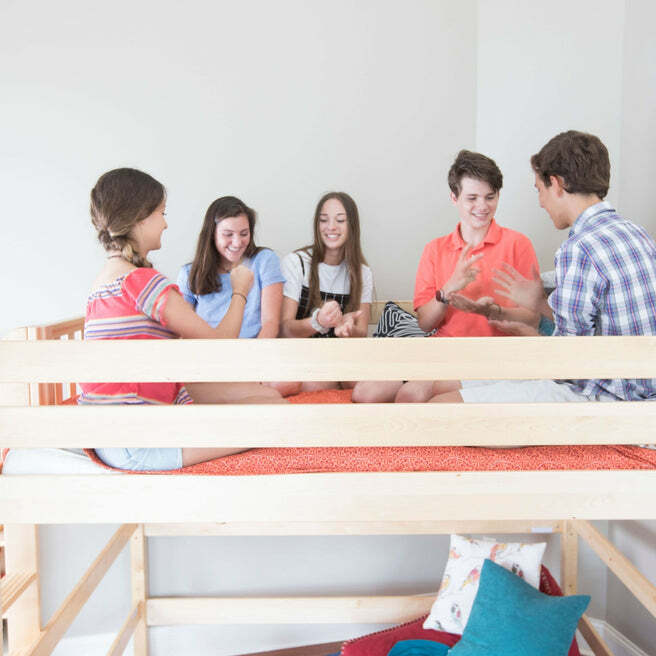 Queen size ensures plenty of room for teens as they grow. This style can see your child through to college, and still converts easily back to a basic Queen bed, for use anywhere in the home. L: 84" x D: 68" x H: 71"